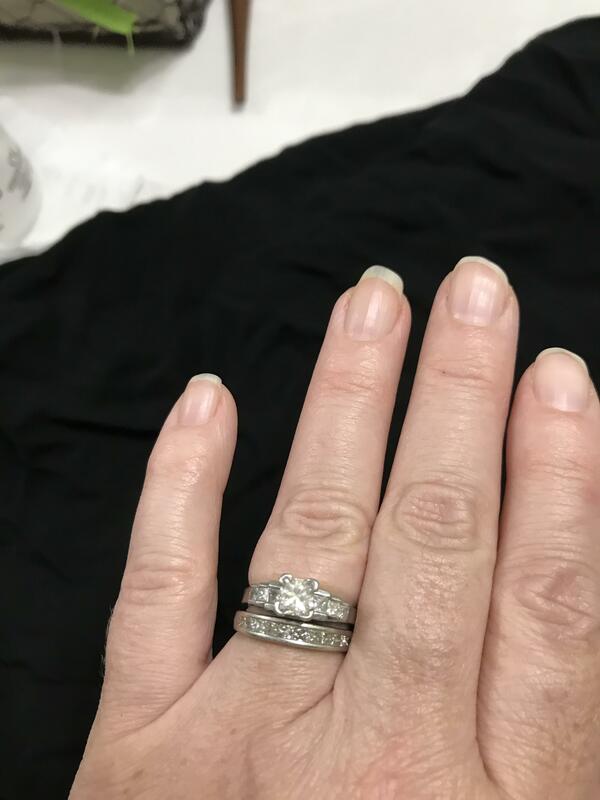 Stunning Platinum engagement ring with over 1 carat center stone as well as wedding band that matches. 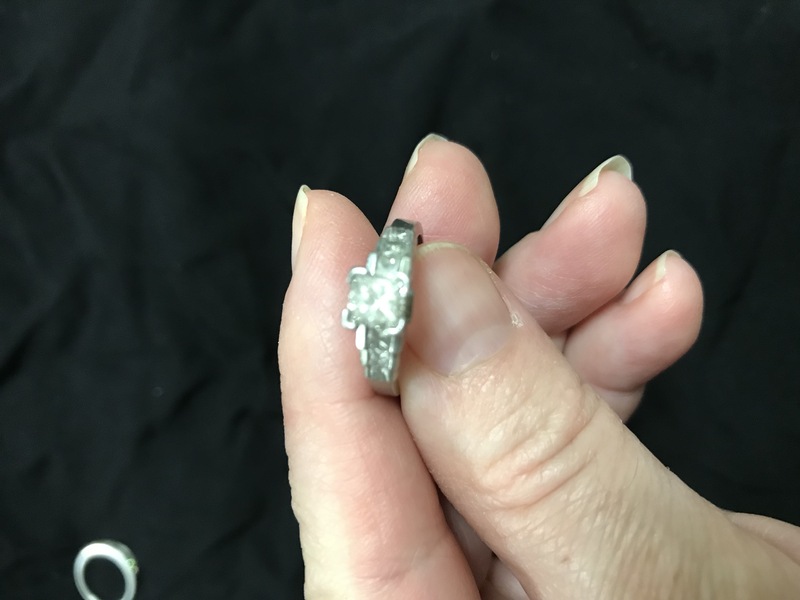 The diamonds on the side are arranged in a tiered fashion that is unique and beautiful. Center stone was upgraded to a larger and higher quality stone. I got many compliments on this ring/set over the years. 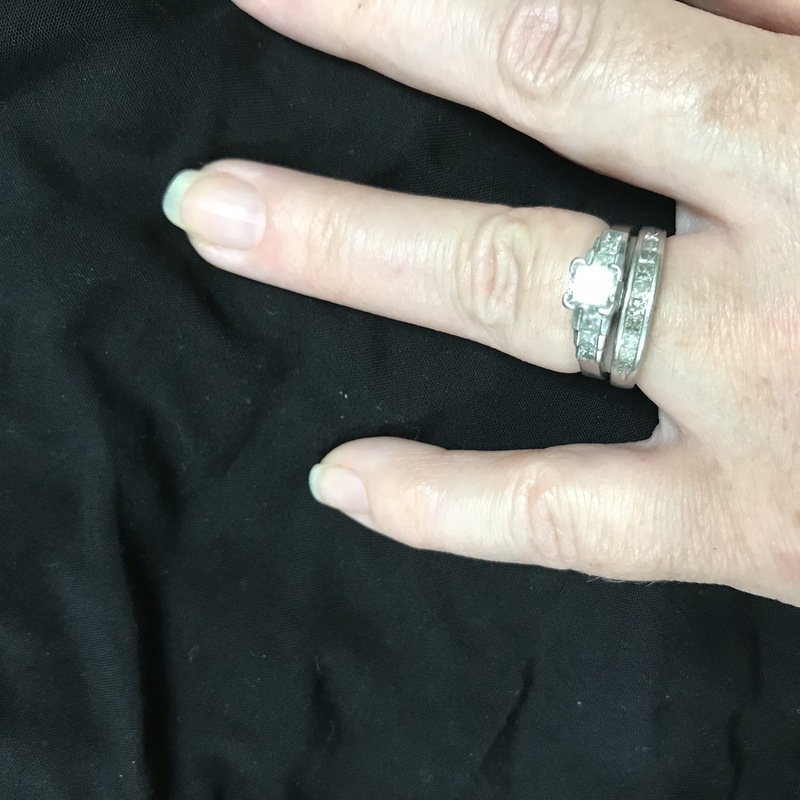 The rings were bought new and are "one owner" rings, which I had for over 10 years. I love this set, perhaps more than the husband. They should be worn and shown off as they are quite attractive and unique and will get you noticed!